The Santa Lucia series tells the story of a hilltop village on the brink of change, and the villagers that call it home. Santa Lucia is the story of a small town on the brink of change, and the villagers that call it home. Lush with glimmering olive groves and flower-lined alleys, it would be easy to believe that Santa Lucia is as idyllic as it appears. After all, what drama could possibly unfold in such an storybook village? As it happens, Santa Lucia is rife with gossip and secrets that are swapped over espresso at the local café. There is much to discuss. Santa Lucia's well-drawn characters struggle with romance and betrayal, tragedy and redemption. The villagers’ daily lives intertwine in a gripping read set in the breathtaking Umbrian hills. Start this captivating story at night and risk being awake far too late. Suspense and enchantment will practically turn the pages of their own accord. 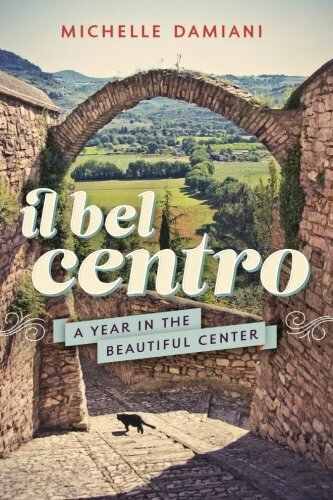 Michelle Damiani has followed her bestselling Il Bel Centro: A Year in the Beautiful Center, the beloved memoir of finding a home in Umbria, with an enthralling novel that similarly transports readers to the green heart of Italy. Set in an idyllic fictional small Umbrian town, Santa Lucia explores the lives of some of the townspeople. Elements of mystery, romance, and drama, as well as a splash of magical realism, give the book a feel of a telenovela, although without the over-the-top drama. Multiple interconnected character arcs, when done poorly, are confusing or forced. These arcs, however, are managed expertly. The plot propelled me forward deeper into the book, and the main characters are all well-rounded. I was reminded at various points of other novels I've enjoyed. The city is almost its own character in Santa Lucia, much like the circus in Erin Morgenstern's wonderful debut novel The Night Circus—and like Morgenstern, Damiani crafts some gorgeous turns of phrase and beautiful scenes. The construction of the plot and the intersection of all the characters is reminiscent of J.K Rowling's The Casual Vacancy(although thankfully the characters are much easier to root for in Santa Lucia). And the way the city influences the lives, the loves, and the losses of the townspeople reminds me of Gabriel Garcia Marquez's masterpiece One Hundred Years of Solitude. I loved the characters, really feeling the emotions of a few of them, and I especially loved the way the city as a character is interwoven throughout. This was my favorite novel of 2017. 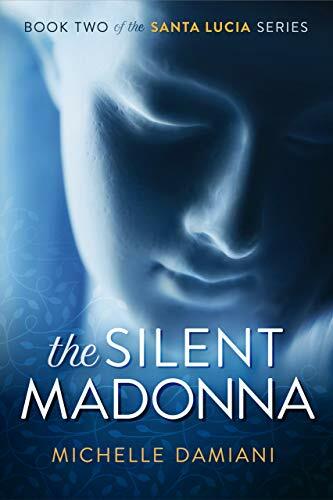 Damiani has followed up her beautifully written memoir, “Il Bel Centro,” with her debut novel, “Santa Lucia,” set in a place that bears much resemblance to real–life Spello, Umbria, where the author spent a year with her family. The fictional Santa Lucia features a cast of characters embroiled in the kinds of conflicts, secrets and mysteries not uncommon to small town life anywhere—from love affairs to tragedies. But Damiani also brilliantly weaves together the rich tapestry of a modern Italian hilltop town, which often includes immigrants such as Santa Lucia’s Fatima from Morocco. 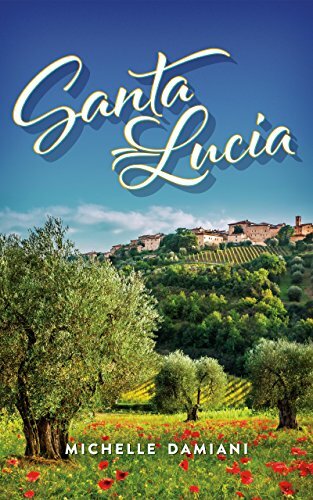 Damiani doesn’t neatly tie up all of the loose ends at the end of the book, but as “Santa Lucia” is the first installment in a series, that isn’t a problem because it successfully draws readers into its charming, fictional world, relaying a compelling story and leaving us wanting more. "From the very first paragraph, I found myself intrigued. Michelle Damiani paints a complete portrait of Santa Lucia, her inhabitants and the aura of Umbria itself. The plot is well fleshed out, takes surprising and unexpected turns. It was difficult to lay the story aside. I can hardly wait for her next installment of the story of Santa Lucia. Bravo, Michelle Damiani." "One of those books that keeps you awake at night reading. Loved the characters and the story." "This was a fantastic read. I could not put it down. The way it ends leaves me longing for Michelle to write the sequel. Her descriptions of Santa Lucia are like reading poetry. Great Great read. You will love it!" "I've visited Italy a few times and this book takes me back to the wonderful time spent there. I got so lost in the characters and Michelle's description of Santa Lucia I could not stop reading. I kept saying to myself 'one more chapter!' I'm so glad this is a series because I get to keep enjoying Michelle's writing. Please hurry up and finish book 2 of the series!!!" 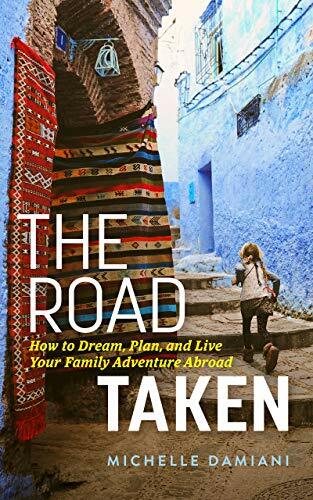 ...see more reader reviews at the Amazon Store. Discovered Santa Lucia and want to share it with your friends? Click the share button below!